Sanskriti, like the name suggests, is designed to bring 2/3 BHK apartments for 675 residents closer to India’s natural heritage. 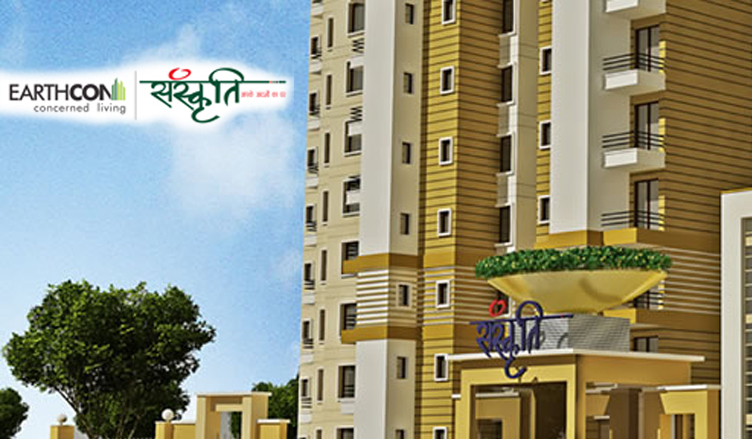 Designed and developed as a sustainable, environment-friendly apartment complex, Sanskriti features modern architecture and planning with a much smaller environmental impact than other conventional apartment buildings. Located in the fast developing NCR region of Delhi and spread across 5.00 acres, Sanskriti has 675 apartments in 2 and 3 BHK styles and rises up 14 floors. It also features a swimming pool, club, badminton court and even a barbeque joint. OAT (Open Air Theater) / Rangmanch. Utility Entrance Lobby in Each Tower. Utility Balcony in Every Unit. Piped gas Facility in Every Apartment.